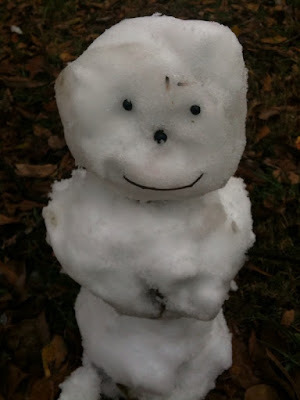 The Incoherent Ramblings of a Stay at Home Mom: Snow! Granted, it was only on the trees and car, but I dare you to tell a 4 year old she can't have fun with a few snow flakes! 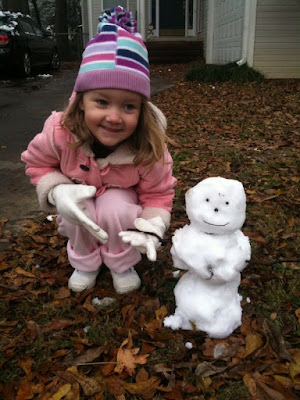 That is, by far, the most adorable snowman I've ever seen! I love it! I live in NY. By January, we'll be able to make a snowman 5 feet tall. Can't say I love it.